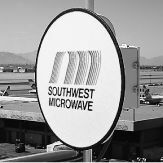 he Series 900 and 902 Microwave Video Transmission Links are the high performance answer for long range wireless video transmission requirements, full color or black and white. Applications include remote surveillance, industrial, institutional, remote telemetry, production control, and video teleconferencing. In addition, built-in sub-carriers are capable of carrying an analog or digital signal for remote camera control: pan, tilt, zoom and switching. High selectivity and precise beam control enables the links to be located close together for multiple channel operation. The FM super-heterodyne design assures superior picture quality in adverse weather conditions. Flexibility The simplex video transmission series has the capability of providing sub-carriers for transmitting audio or data information. These sub-carrier interfaces include audio/FSK, RS-232, RS-422, and most all camera control system interfaces. These sub-carriers may be used for two-way (duplex) audio, camera control, or video switching. This two-way data transmission also makes it possible to remotely operate card readers, gates, and turnstiles. When multiple sub-carrier configurations are used, a separate desktop BMS unit is provided which includes a built-in 24VDC power supply. Rackmount and weather-resistant outdoor BMS modules are available. All systems are individually tuned to a specific assigned frequency to ensure interference free operation and provide a reliable communication link. Frequency and FCC license easily obtained. No customer adjustments are required. Beamwidth: 1.6 degrees (3 dB) 2 ft.
0.8 degrees (3db) 4 ft. Specify configuration and operating frequency and include sub-carrier formats. See price schedule for accessories. All systems include appropriate mounting hardware. Specifications subject to change without notice.